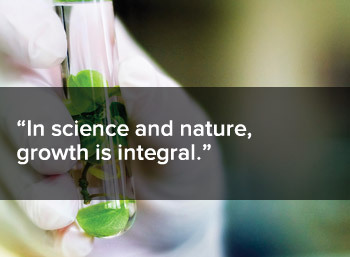 In science and nature, growth is integral. At Integrative Therapeutics, we're taking steps to help cultivate healthy practices by providing the tools and resources you need to spend less time managing your business and more time caring for patients. Improved product categorization for easier search. Product sort and filter options that account for dietary considerations or preferred form. A new Drug-Nutrient Interaction Checker. A responsive design that is mobile and tablet friendly. Take a moment to watch this short video, which illustrates the evolution of Integrative, and sign up for our weekly eNewsletter to hear about the many ways we'll continue to deliver new practice-changing tools and resources.